Designed and hand made in North Wales. 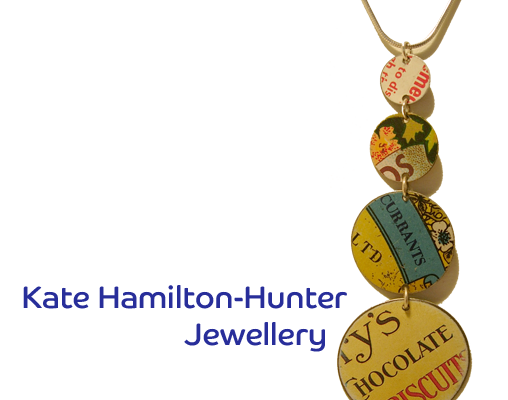 Her collections are created from a magpie selection of metals which include silver, aluminium and brass, along with her trusted biscuit, sweet & toffee tins. All jewellery is finished to a high standard using sterling silver Swarovski crystals and pearls. Conservation of the past and consideration for the future are in the heart of Kate’s work. Recycled materials are used in the creation and packaging of all the jewellery.